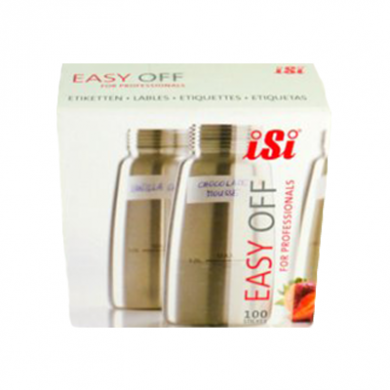 The iSi Easy Off labels are self adhesive and easily removable. Perfect for labelling the contents of bottles, jars or whippers. The labels will adhere to any dry, grease-free surface and can be very easily peeled off when appropriate.